Enjoy Utah! : The Great Utah Shakeout: What To Put In A 72 Hour Kit? The Great Utah Shakeout: What To Put In A 72 Hour Kit? To properly prepare for an earthquake or general evacuation emergency, each person in your family needs to have a 72-hour kit packed and ready to go. To compile a list of what you need in your kit, write down everything you use and would need in a three day period. This will give you a better idea of what you use every day. Kids: Besides their every day "needs", they are going to need something to keep them busy if staying long periods of time at a shelter. Pack small items that they can do for entertainment, like word puzzles, mad libs, etc. During an evacuation, you want to make sure you don't get separated from your kids. You know those "child leashes" that everybody loves to hate? Buy a bunch of those and "connect" you and your kids together so that you don't get separated! No matter what the age of your children, getting separated in a hectic evacuation would be devastating and just add to the panic. 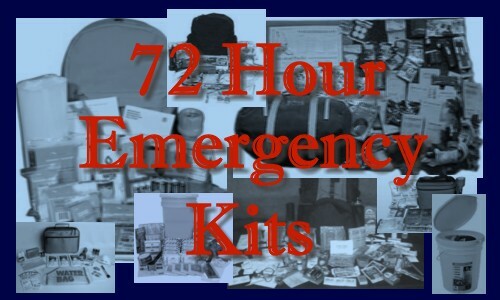 Make sure everybody can carry their own 72-hour kit. As local Utahn Taralyn Parker discovered in The Great Utah Shakeout earthquake drill, "Only one rolled and the others were too heavy for the kids to carry or drag very quickly so that was a big problem. There's no way I would have gotten the baby, the kids, and the back packs out on my own and I didn't know what was in each bag." Make sure you put your 72-hour kit somewhere accessible. Storing them in a basement storage room is great, but what if you can't get to them in the event of an earthquake? Many experts recommend storing them in the garage where you can grab and go. Don't forget your pets! Having to leave a pet behind can be traumatic, especially for younger children or those that think of their pets as part of the family. Make sure to pack a 72-hour kit full of food, water, leashes and other necessary supplies for your pets as well. Important papers. Make sure you keep these in a safe and easily accessible spot. Examples of these include birth certificates, passports, social security cards, insurance policies, etc. 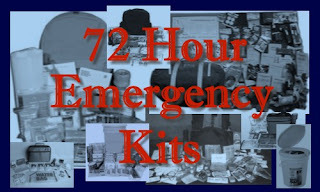 You can visit The American Red Cross website for suggestions on what to put in your 72-hour kit. Many Utahns experienced first-hand the panic that can come from being unprepared in the case of an emergency. On September 19th 2010, a fire on Herriman Mountain forced a quick evacuation of over 1,500 families. Many of these families were not prepared for an evacuation and had to leave many important items behind. An evacuation can happen at any time, whether you are ready or not, so getting your 72-hour kit together will help you be that much more prepared in the case of a major earthquake and evacuation. Read how Utahns around the state participated in, and learned from, The Great Utah Shakeout, Utah's largest state-wide earthquake drill.